Matt: I am here on the Gold Coast in Queensland. Today I am meeting Kevin from True Blue Building Solutions. Kevin has an interesting story about how they went from selling commercial glass in high-rises to smart toilets out of all things. 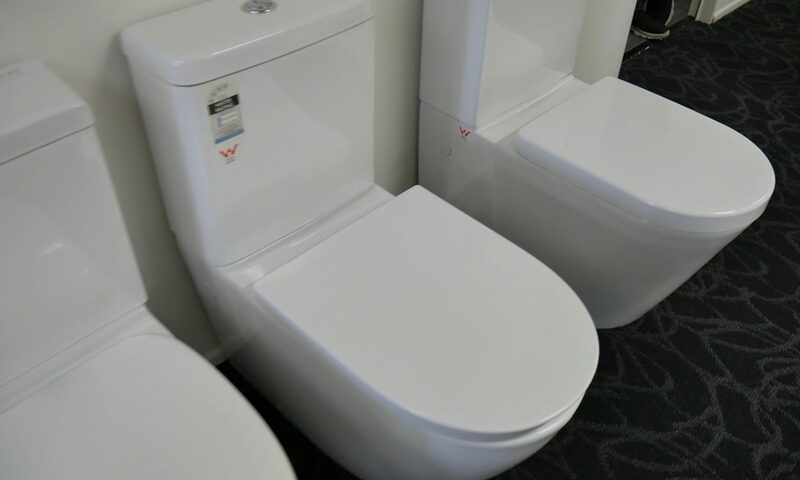 Matt: While at the Brisbane Home Show, Kevin, you found that a lot of people have smart toilets. Being an Australian, the last thing I think is that a toilet is going to wash my backside. Kevin: I’m the same. I grew up the good old fashion way, so to me, I don’t know anything different. I never thought for a million years that I would be marketing and be selling smart toilets. 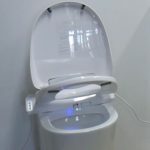 At the Home Show, we had a few smart toilets on display, simply testing the market. This model bolts onto an existing toilet. Kevin: We have a model that bolts on top of existing toilets. This model comes with a night light and has an automated lid as well. You can press a button, or open and close the lid manually. And then the second button lifts the seat which the manufacturer refers to as the male function. This is, so the ladies don’t have to worry about touching anything. The toilets have a water spout with male and female settings as well as a comfort button. Unsure if the comfort button was real, I got on the phone to China. It is a female comfort button, so the lady of the house can enjoy herself. The nozzle comes out, sprays water (you might not want to record this part) which has adjustable pressure. The nozzle can pulsate while spraying water as it slides in and out. Kevin: Yes, the comfort button caught me out as well. From the Home Show, I have had three large bathroom supply companies here in south-east Queensland approach me saying they need to have these in their showrooms. All of them asking how many can I supply? I am like wow. OK, let’s go. Matt: So you have gone from glass to selling toilets. Kevin: Yep. All the way. Matt: That is one hell of a story.